INDEVCO Group affiliates support Lebanese industrial research conducted at universities and academic institutions. INDEVCO member companies, Phoenix Machinery, received recognition awards from the Lebanese Industrial Research Achievements (LIRA) Program during its 9th annual forum on 19 November 2009. The LIRA program grants awards for the first time and will continue to honor projects' supporters and students annually. INDEVCO Group is a founding member of the LIRA program. Phoenix Machinery has been supporting research projects proposed by universities and academic institutions in Lebanon since the LIRA program launched in 1997. Being a member of INDEVCO Group, we believe in and support the power of scientific and technological research and industrial innovation. We focus on the importance of talented engineers and encourage creative collaboration between the private sector and engineering and technical colleges towards a knowledge-based economy. Every year, this annual forum including the Conference of Industrial Research & Development, and the Exhibition of Industrial Research Achievements brings together academic and industrial expertise. This event provides an important opportunity for industry, academia and research centers, both public and private, to meet and exchange their research findings. The LIRA program encourages university-industry cooperation, matches university activities/research with industry needs, seeks industrial projects for proposed university projects, offers a national platform for potential new products and services, helps engineering and science students in developing their research projects prototypes and provides industrial training. Since 1997, LIRA program provides researchers in universities and vocational schools career opportunities that suit their capabilities and potential. Furthermore, the program has brought great achievements for the national industrial sector by increasing its competitiveness, creating higher added value products, developing production lines, and by introducing locally-made low cost high-tech production equipment. The cooperation in 1997 amongst the Association of Lebanese Industrialists, the National Council for Scientific Research, a handful of universities in Lebanon, and with the support of Friedrich Ebert Stiftung, a German-based public institute foundation, resulted in the initiation of an annual forum: the Conference of Industrial Research & Development, and the Exhibition of Industrial Research Achievements. Unipak pledges support for the Lebanese production and sponsors "Made in Lebanon" 2009 exhibition. Unipak, Lebanese corrugated packaging manufacturer, sponsored and exhibited at "Made in Lebanon 2009" exhibition from 13 - 15 November 2009 at the Quality Inn Hotel in Tripoli. Over 1000 visitors attended from across Lebanon. Prospects visited a busy attraction hub for a comprehensive product portfolio of corrugated cartons, boxes, trays, and point-of-purchase (POP) displays to visitors for a range of industries: agricultural, beverage, catering, chemical and petrochemical, hygiene converting, processed food, dairy, industrial, as well as soap and detergent. Furthermore, the event allowed the corrugated packaging producer to support its customers and build closer relationships with them, especially companies based in North Lebanon, in addition to initiating contacts with companies from various sectors. 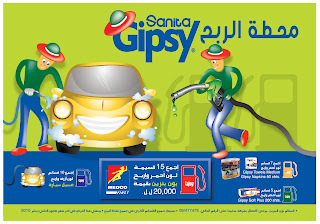 For its 7th consecutive year, Sanita, leading Lebanese consumer disposables manufacturer, launches Gipsy National Campaign 2009 throughout Lebanon entitled جيبسي محطّة الربح translated literally into "Gipsy Winning Station" from 2 November 2009 - 31 January 2010. This year, Gipsy is offering consumers the chance to win free gas and car wash vouchers from MEDCO, leading Lebanese full product line petroleum company with more than 280 service stations across Lebanon. The campaign's concept highlights Gipsy’s colors (red, blue, yellow and green); coupons featuring these colors are inserted in all Gipsy tissue products. Consumers have to collect the colored coupons available in all Gipsy tissue disposables packs. By collecting 15 red coupons, consumers win 1 free gas voucher for the value of LBP 20,000 from MEDCO. By collecting 10 blue coupons, consumers win 1 free car wash voucher from MEDCO. By collecting 7 yellow coupons, consumers win 1 Gipsy Luncheon napkin pack of 50 paper tissue sheets and 1 Gipsy paper towel medium pack. By collecting 5 green coupons, consumers win 1 Gipsy soft plus pack of 200 paper tissue sheets. Gipsy tissue disposables brand includes facial tissue, toilet tissue, paper towels, paper table napkins and wet wipes. Napco awards 'Fam 25 Years' online and national contest winners with Damas Jewellery. Saudi consumer disposables manufacturer, Napco, is celebrating Fam brand’s 25th anniversary with online and national contests from 15 October - 15 December 2009 in Bahrain, Kuwait, Oman, Qatar, Saudi Arabia and UAE. Fam is a leading feminine hygiene brand in the Arabian Gulf. In an effort to engage women in ‘Fam 25 Years’ contests, Napco is using online social media, Facebook Fan Page, Twitter and YouTube. In addition, Fam advertising is running on Facebook and MSN Messenger. Napco invites women at least 18 years old in Saudi Arabia, Bahrain, Kuwait, Oman, Qatar and UAE to register in 'Fam 25 Years' Online Contest. Napco will draw two winners weekly through15 December 2009. Winners can redeem their vouchers through 15 April 2010. Winners receive a diamond necklace or ‘Scratch & Win’ SR250 voucher or discounts from Damas Jewellery. All Fam packs purchased at a supermarket in these countries include a “Win Voucher’ with an SMS serial number, as well as a ‘Scratch & Win’ instant gift section through 15 December 2009. Napco is drawing 10 winners on 15 November and 10 winners on 15 December. Winners can redeem their gifts through 15 April 2010. SouthCorr Packaging has partnered with Arvato Digital Services and completed a new fully-assembled turnkey display, a corrugated promotional point-of-purchase (POP) display for their customer, CA on 1 November 2009. This display was on the floor at HH Gregg appliances and electronics superstores in Mid-November. Arvato Digital Service is a leading provider of integrated solutions that include post-production, replication, fulfillment and distribution/supply chain management, financial services, and electronic software distribution. CA is one of the world's largest IT management software providers. In August 2009, SouthCorr Packaging began designing and sampling this project by working on purchasing, client services, and design teams at Arvato and CA to provide a four-sided litho display with multi-layers of shelves along with 5 competitors. After the project was completed and approved, Arvato ordered 300 complete corrugated displays for immediate delivery. Each stage of this project, from design, graphical work, production, assembly, and shipment, was executed flawlessly. Arvato team has indicated that this display is one of the nicest they had ever seen or been able to supply to their customer base and they already started working on the next CA display for fulfillment. Customers and Lebanese industrialists meet Unipak at "Made in Lebanon 2009" exhibition: Stand#A2 at the Galleria Hall. 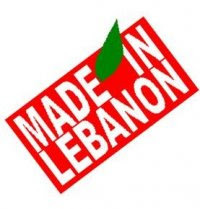 As part of its continuous support for the Lebanese industrial sector, Unipak, Lebanese corrugated packaging manufacturer, will sponsor and participate in "Made in Lebanon" exhibition. Organized under the patronage of the Lebanese Ministry of Industry, "Made in Lebanon" will take place for the first time and will gather more than 50 Lebanese exhibitors from different industries at the Quality Inn Hotel in Tripoli at the Galeria and Senator halls from 13 - 15 November 2009.